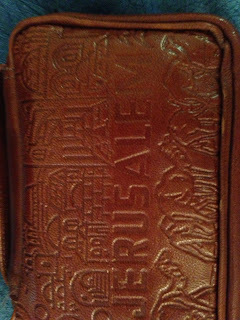 The past few days have been filled with lots of exciting trips and activities. On Saturday, we had church because Sabbath is on Saturdays here, which is kinda different to get used to but I like it! 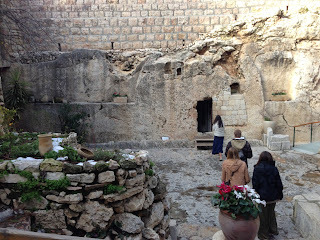 After church, we went to the Garden Tomb, where Jesus was supposedly 'buried'. The site is just a little walled-off part of town, literally in the middle of everything. But once you get inside, it's really calm and peaceful. 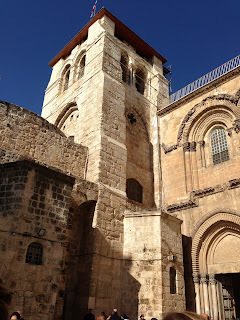 There were a bunch of other groups of different religions there when we went, and it was neat to see that we aren't the only people who believe in the Resurrection of Christ. 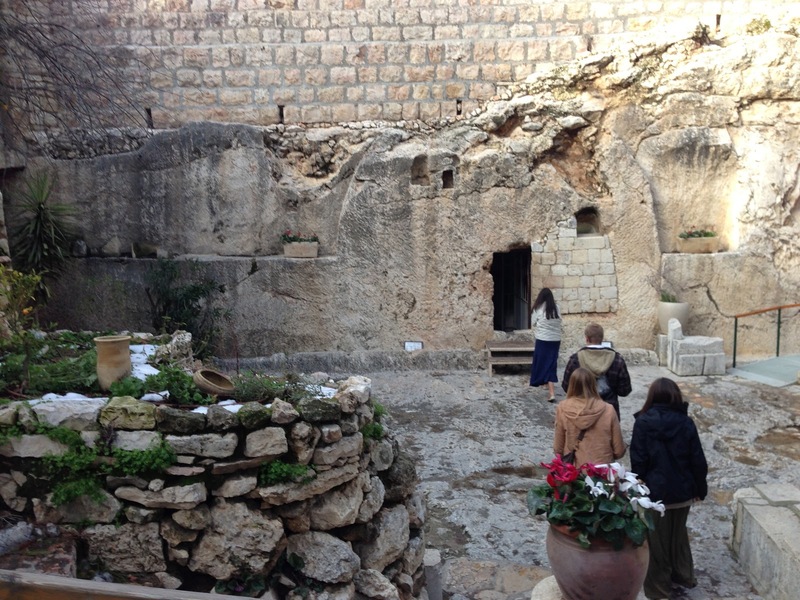 While we were in the Tomb, we got to sing a few hymns, "Nearer My God To Thee", "Our Savior's Love", and "He Is Risen". Probably one of the greatest experiences with singing that I've had! That was a very nice Sabbath day activity. Then on Sunday, we had our very first outing into the city! 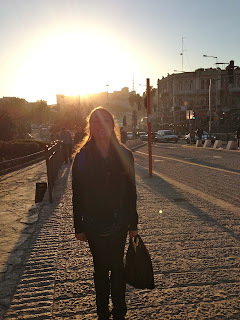 We walked alllll around East Jerusalem, the Old City, and West Jerusalem. It was so interesting to see the difference between all the areas, even though they are pretty close to each other. We met a few shop owners who love the BYU students, so that was nice because now I know where to get all my activities from. Also, a 10 year old boy slapped my friend's booty...hahaha even though it's considered harassment and not a joke, it was hilarious. Also we got to play soccer with a group of Palestinian boys, which was fun too! I was so tired after the day, I went to bed at 8:30 pm and then woke up at 6 am...I slept like a rock! Happy after one of the best days ever! Monday we had an all day field trip, and went to tons of sites that look over Jerusalem, and the city, and Bethlehem and other places. Today was full of class, and studying for a huge test I have tomorrow, which I have to go back and study for right now! 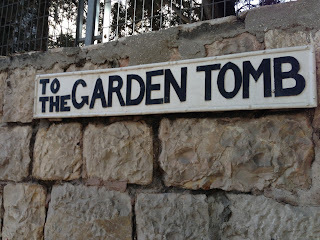 The Garden Tomb must have been such a sacred place. To have been there on the Sabbath is an experience you'll never forget. And, every time you sing those songs you'll always remember being at the place the Savior was buried. To see so many people of different religions come and visit such a sacred site shows that there are many people in the world who love the Savior and want to see where the Savior lived during his ministry. You are so lucky to be there! Where to begin?? 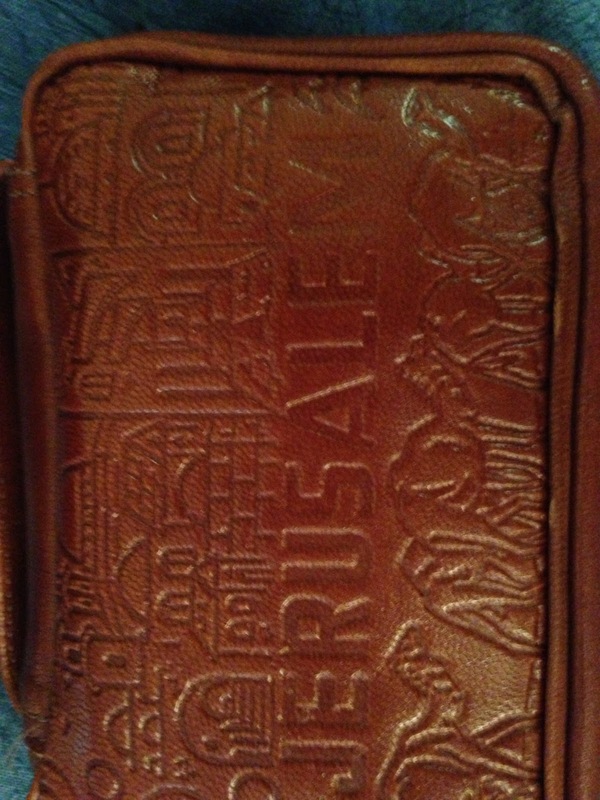 How cool!!! I'm so glad you are there. It's the trip of a lifetime to be sure. And tests already?!?! Someday I will make it over there and you can be my tour guide. What do you think? 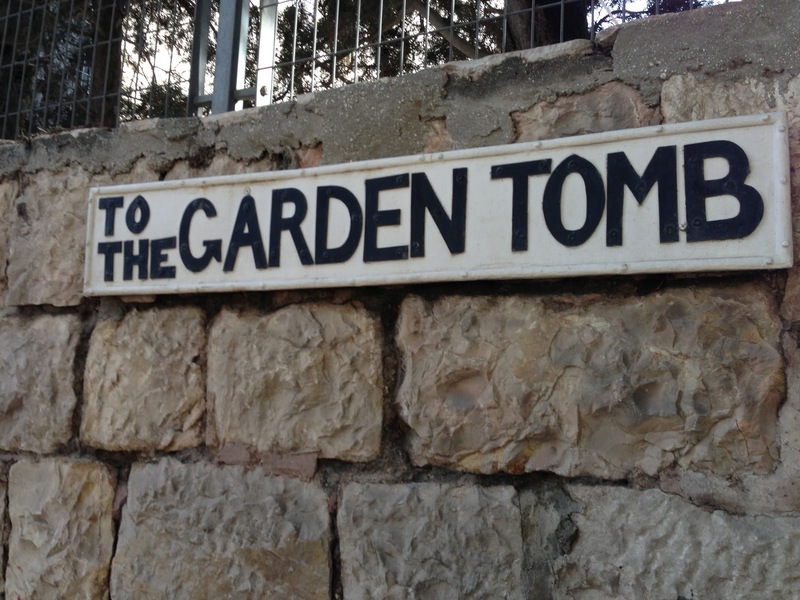 Do you think that's THE garden tomb?